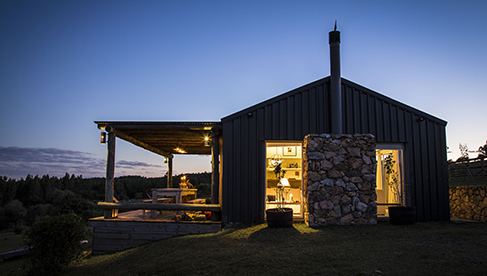 Located in the department of Maldonado, not far from Punta del Este lies Haras Las Tordillas. 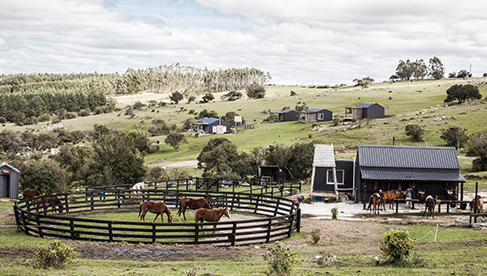 This South American horse farm has Arabian thoroughbred horses. These beautiful horses are the perfect companion for exploring the area. 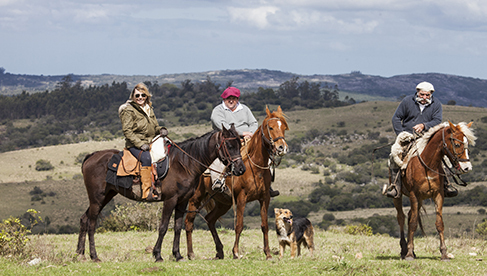 Riders will experience fast paced travel through pastures and open country, rides through vineyards on Pueblo Eden´s stony mountains slopes, to picturesque gold mining sites and more. The lanscape is magnificant and like nothing you've ever seen. During your rides you will visit a local high end winery, an olive plantation and olive oil factory where you will be able to taste and drink the local products. 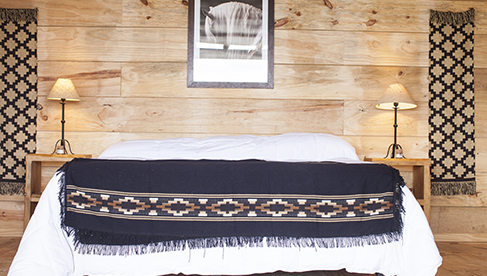 This riding vacation destination is located in Pueblo Eden, a town of just a few hundred people. 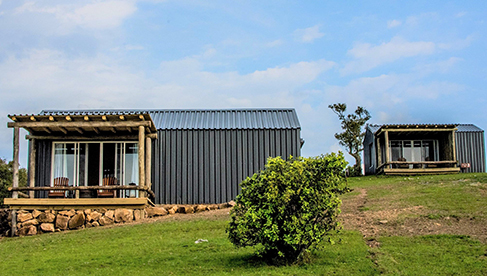 It marks the seat of the rural hill country, dotted with granite outcroppings. The town offers a classic plaza and great restaurants. 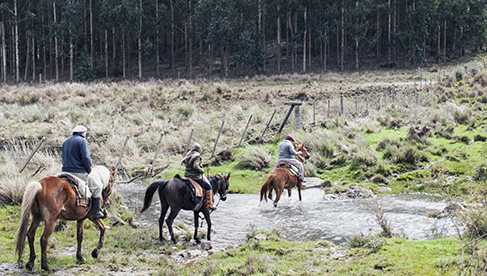 Riders at Haras Las Tordillas journey into remote areas to explore unparalleled scenic beauty. It's a true escape. 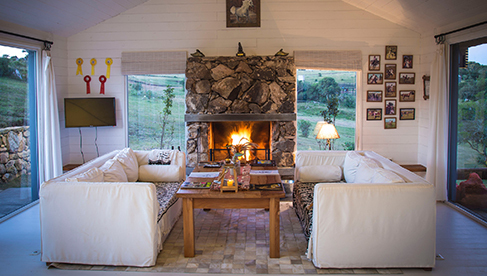 Luxury private cabins on a 30 acre horse farm with a pool and garden with native plants and trees. Typical Uruguayan barbecues with their world class meat cuts and complimentarly red wines of the Tannat brands, as well as international cuisine. 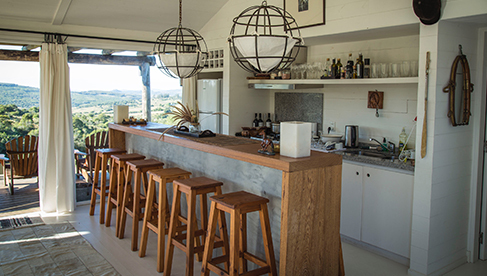 Emphasis is on fresh home-cooked meals and light salad lunches. 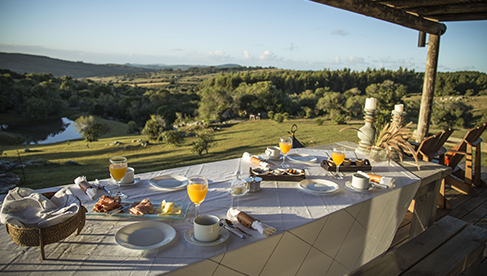 Breakfast with breads, toast, freshly squeezed orange juice, farm eggs and more. Lunch during day rides: light picnic lunches (sandwiches). One course dinner at the dining table in the communal area, international and Uruguayan specialties: beef, pasta, chicken, roast dinner, barbecue. Vegetarians diets can be catered for (request on booking). There are local wineries, olive plantations and an olive oil factory and small towns throught the surrounding area. Exceptional restaurants abound. 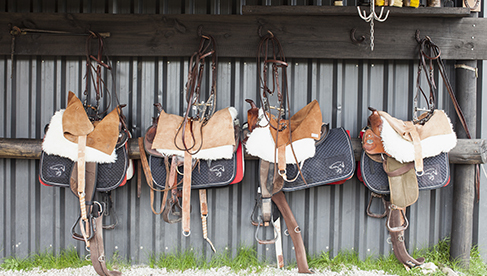 A paradise for horse lovers ... Haras Las Tordillas!